Cable prices have been rapidly increasing for more than 10 years. In 2017, customers with pay TV or satellite service saw a 3% increase in cable bill prices. Since then, customers paid an average of $107 per month, reflecting a less than 1% increase. This drop is attributed to the uptick in people dropping pay TV entirely or people reducing costs by cutting down on the number of channels they get. According to Leichtman Research group, ten years ago, 87% of households subscribed to pay TV. Today, 78% of households subscribe to pay TV. 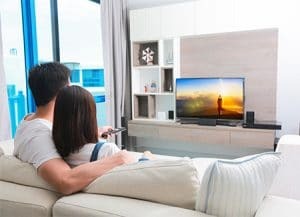 This drop is consistent across the industry as cable, telephone and satellite companies have reported a drop in pay TV service in Q3 2018. 70% of adults between the ages of 18-44 subscribed to pay TV this year, compared to the 84% of those 45+ years old. Leichtman found that of those between the ages of 18-34, 52% stream an Internet service such as Netflix and Amazon Prime Video daily. Only 31% of those surveyed between the ages of 35 and 54 streamed daily and 11% of those 55+. Research suggests that 20 million more people will drop pay TV by 2021.